Though not much is known about her life, Napoleon in America character Josephine Lauret has a New Orleans street named after her. Quite a lot is known about her parents and grandparents, providing glimpses into the French-Spanish-American dynamic of the late 18th century, particularly in Louisiana. 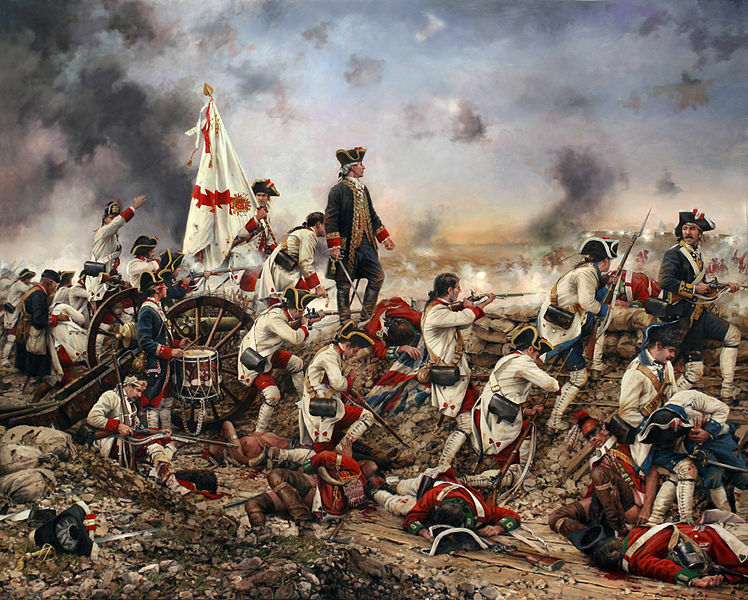 Spanish forces led by Bernardo de Gálvez at the siege of Pensacola in 1781, by Augusto Ferrer-Dalmau, 2015. Josephine Lauret’s father, Pierre George Rousseau, helped Gálvez force the surrender of the British garrison. Josephine’s father, Pierre George Rousseau was born in La Tremblade, France, in 1751. (1) His mother died when he was young. 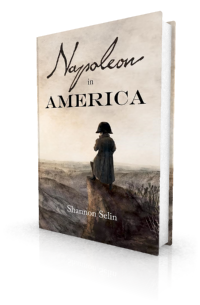 His father brought Pierre and his brother to America sometime before 1764. Rousseau became an officer in the Continental Navy, which was the navy of the United States during the American Revolutionary War. In 1783 Rousseau married Marie Marguerite Catherine Milhet, an attractive Creole (at the time, Creole meant a person of European descent born in the Americas). She had a good singing voice, which she applied in French, Spanish and English. She saw Rousseau as a rugged soldier “who took his fun where he found it.” (3) Rousseau and Catherine had 12 children, of which Josephine, born in March 1796, was the fifth. In 1800, Napoleon persuaded Spain to secretly cede Louisiana to France. Spain continued to administer the territory until Napoleon sold it to the United States in 1803. Wanting to remain in New Orleans rather than be transferred to Spain or one of her colonies, Rousseau requested his retirement. He died on August 8, 1810 in New Orleans, at the age of 59. Josephine’s mother, Catherine (born in 1767), was the daughter of Joseph Milhet and Margarethe (Margaret, Marguerite) Wiltz. In October 1768 Milhet – a wealthy New Orleans merchant – participated in a rebellion by French, German and Acadian settlers to attempt to stop the French transfer of Louisiana to Spain. The following August, Spanish General Alejandro O’Reilly – an Irishman who joined the Spanish army at age eleven – easily gained control of the colony. (5) On October 25, 1769, Milhet and four of his co-conspirators were executed by a firing squad in the parade ground in front of the Spanish barracks at Fort St. Charles, in the southeast corner of New Orleans. When Bernard de Marigny later built a street in his Faubourg that began near this site, he called it Rue des Françaises – Frenchmen Street – in honour of the executed rebels. Josephine Street in New Orleans is most likely named after Josephine Rousseau Lauret, Margarethe’s granddaughter, who was 17 years old in 1813. The other street names also appear to have been taken from Margarethe’s granddaughters (i.e., Pierre Rousseau’s and Catherine Milhet’s daughters): Soraparu was the last name of the husband of Josephine’s oldest sister Marie; Philippe was the middle name of Josephine’s second-oldest sister, otherwise known as Felippa; Adele was Josephine’s younger sister, who died in 1818. After Margarethe’s death, the balance of her plantation became the property of her daughter Catherine. In 1818 Catherine sold her holdings to John Poultney, a New Orleans merchant, for the sum of $100,000. Poultney couldn’t come up with the money. As a result of various legal battles, by 1824 the firm of Harrod and Ogden were the sole holders of the disputed property. They continued to subdivide the plantation and sell more city lots. The name of Cours Panis was changed to Jackson Street and the growing suburb was called Lafayette, after the hero of the American and French Revolutions. The Marquis de Lafayette made a tour of the United States in 1824, during which he visited Catherine Milhet Rousseau. According to Louisiana death records, a Mrs. J. Lauret died on January 20, 1867, in Orleans Parish at the age of 72. As the age roughly matches, I strongly suspect that this was Josephine Lauret. The information in this article about Rousseau comes from Raymond J. Martinez, Rousseau: The Last Days of Spanish New Orleans (Gretna, 2003). For more about Gálvez and his role in the American Revolutionary War, see Barbara A. Mitchell, “America’s Spanish Savior: Bernardo de Gálvez,” MHQ: The Quarterly Journal of Military History, November 28, 2012, http://www.historynet.com/americas-spanish-savior-bernardo-de-galvez.htm, accessed April 17, 2014. Martinez, Rousseau: The Last Days of Spanish New Orleans, p. 28. For more about Bowles, see David H. White, “The Spaniards and William Augustus Bowles in Florida, 1799-1803,” The Florida Historical Quarterly, Vol. 54, No. 2 (Oct. 1975), pp. 145-155. For more about the rebellion, see Michael T. Pasquier, “Insurrection of 1768,” KnowLA Encyclopedia of Louisiana, David Johnson (ed. ), Louisiana Endowment for the Humanities, 2010. Article published January 24, 2013, http://www.knowla.org/entry.php?rec=762, accessed April 17, 2014. More personal details about the conspirators can be found in Emilie Leumas, “Ties that Bind: The Family, Social and Business Associations of the Insurrectionists of 1768,” Louisiana History: The Journal of the Louisiana Historical Association, Vol. 47, No. 2 (Spring 2006), pp. 183-202. For more about O’Reilly see Samuel Fannin, “Alexander ‘Bloody’ O’Reilly,” History Ireland, Vol. 9, No. 3 ( Autumn 2001), pp. 26-30, http://www.historyireland.com/18th-19th-century-history/alexander-bloody-oreilly/, accessed April 17, 2014. Martinez, Rousseau: The Last Days of Spanish New Orleans, p. 27. Information about Margarethe’s land comes from “A History of the City of Lafayette” by Kathryn C. Briede (1937), as reprinted in Martinez, Rousseau: The Last Days of Spanish New Orleans, pp. 123-130. Kent Gardien, “Take Pity on our Glory: Men of Champ d’Asile,” The Southwestern Historical Quarterly, Vol. 87, No. 3 (Jan. 1984), p. 262. Anne Newport Royall, Mrs. Royall’s Southern Tour, or Second Series of The Black Book, Vol. 2 (Washington: 1831), p. 92. For more about Anne Royall, often considered to be the first professional female journalist in the United States, see J.D. Thomas, “Anne Newport Royall: First American Newspaper Woman,” Accessible Archives, March 12, 2012, http://www.accessible-archives.com/2012/03/anne-newport-royall-first-american-newspaper-woman/, accessed April 17, 2014. 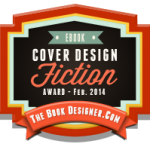 For details, see Jack D.L. Holmes and Raymond J. Martinez, “The Naval Career of Lawrence Rousseau,” Louisiana History: The Journal of the Louisiana Historical Association, Vol. 9, No. 4 (Autumn 1968), pp. 341-354. Great article! Thank you! It would be interesting to find out what happened to her. Thanks, Bob. Glad you enjoyed it. I, too, would like to know what happened to Josephine. I haven’t been able to find anything online about her fate. Her daughter Nicida married a man named Pierre Jorda and had children (George Louis, Marie Felicie, Marie Louise Nicida, Octavie, Lucie, Emile), so she may have living descendants. I am a descendent of Josephine and have certified copies of the family marriages which took place at St. Louis Cathedral. These copies start in 1783 with the marriage of Pedro Jorge Rousseau and with Dona Maria Margarita Catalina Milhet. One of their twelve children was Josephine Rousseau who married Louis Lauret on March 20, 1819. Their daughter, Josephine Nisida Loret (or Lauret) married Pierre Jorda April 5, 1845. She is listed as a minor at her marriage, while he was of age. He died October 10, 1903 (80 years old.) Supposedly, they were buried in St. Louis (either #1 or #2 )cemetery. Their daughter, Lucie Jorda (died October 13, 1917) married Jules Philippi November 5, 1875. Their only son, my grandfather, died in 1933. He had six children, two of whom were boys who only had daughters. I am the last of the Jorda/Philippi line. I’ll keep digging to see if I can find out anything else about Josephine Lauret Jorda. By the way, my four year-old granddaughter is named Josephine! It’s wonderful to hear from you, Julie. Thank you so much for sharing these dates and details. It’s great to learn that Louis and Josephine Lauret’s line lives on! Thank you. I’m glad you’re enjoying it. An update: In searching through Louisiana death records, I just discovered that a Mrs. J. Lauret died on January 20, 1867, in Orleans Parish at the age of 72. As the age roughly matches, I strongly suspect that this was Josephine. Her daughter Nicida (also spelled Nisida and Nizida in various vital records) died on October 6, 1884, at the age of 59. Monsieur L-t seems to have been unfortunate since I had the pleasure of seeing him in Philadelphia. He had married!